I once had a fairy tale life, then suddenly... it wasn't. I lost my son, my marriage and everything I believed in...but what happened next, I never could have imagined! I help people with those great big life transitions like loss of a loved one, heartbreak, divorce, financial loss, empty nest .... I love guiding people into a happier, more successful life. This new year, I was thinking about my goals and dreams. I asked one important question: How can I use my life to help more people? Two years ago, I dreamed about writing a book to help guide grieving parents as they navigated the healing process following the loss of a child. I knew that story well... It was my story. Writing the book was also a way to fulfill my son's legacy; giving meaning to his life of 16 years, 3 months, and 10 days. I achieved that dream. I felt much personal resistance and fear in actually writing my story… in revisiting the toughest time of my life, but I realized my desire to share my message of hope was stronger than my fear. I'm so glad I didn't give up. My book, How to Survive the Worst that Can Happen, is now helping many parents with their own recovery, and nothing feels better than that. The book also recently won another award! The Readers’ Favorite Silver Award for 2015! Garrett was active in sports throughout his 16 years. Awards meant the world to him! I know he's thrilled. I had another dream, I wanted to help others experience their own dreams of having their stories make a difference in people’s lives. I wanted to share my knowledge about what I love to talk about… writing. Whenever I tell people I’m a writer, the typical response to me is… "You know... I’ve always wanted to write a book!" A week ago, I fulfilled the dream of helping people get started writing! 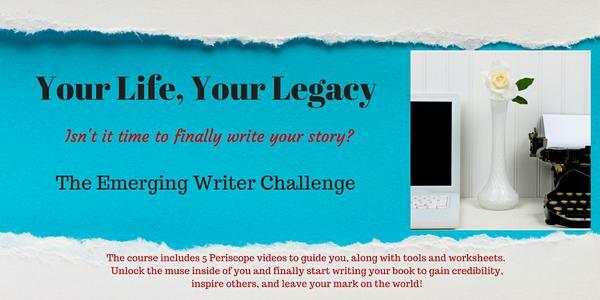 I wrote and produced the 5 Day Emerging Writer Challenge on a Livestream Broadcast! I had 50 people sign up for that challenge on Periscope.tv! 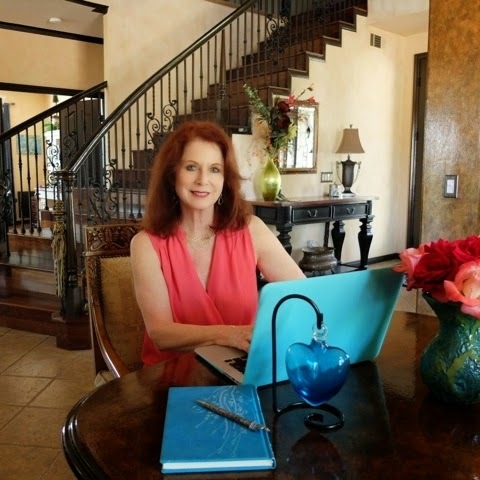 Having been married to a writer for television and film, and having personally written 4 books, I’d learned a heck of a lot about the writing process! I'm writing every day....notebook with me at all times....thank you Sandy Peckinpah....you've made a positive change in me....I can't wait to see where this amazing new journey takes me!!!! I would have paid $5000 at a retreat for this information! Now that it’s over, it continues to carry the message YOU delivered, to inspire and trust ourselves, and WRITE NOW! Thank You! If you’ve ever had a burning desire to write your story, this is an opportunity to fulfill that dream. I’ve packaged the 5 Day Emerging Writer Challenge for you to get started writing! It’s your story, your legacy, your purpose for being on this planet. I never expected what happened in Paris. It was supposed to be a time to recharge, visit the sights, and enjoy being with my husband. Until I arrived in Paris, I had no idea how a different perspective and culture would help me appreciate what I’ve already achieved and inspire me even more. For months now, I’ve felt driven to create consistent, informative content to share with you. It’s been so incredibly gratifying to receive your comments and emails on how something I’ve written might have given you strength or a new way of viewing life. Sometimes our greatest inspiration is in our challenges. Our past is not a ball and chain, but the school of life we get to draw from in creating our next act. This goes for me too… I realized that I’ve been working so hard, I hadn’t stopped to enjoy what I’ve already created. Once I got to Paris, and made that decision, THIS happened!! 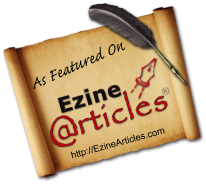 !….Read full article. As many of you know, for years, I worked with my late husband, a television screenwriter who wrote and produced popular television series like Beauty and the Beast for CBS, Sliders, the sci-fi thriller about people sliding between parallel universes, and Silk Stalkings, the slick detective show about crimes of passion. We’d sit up late at night “building” new people from the figment of our imagination. Let’s pretend it’s a sci-fi mystery. We’d start with simple descriptions like this: she’s a young woman, in her early 20’s with bewitching hazel eyes and a mane of umber brown hair that was so thick, she couldn’t put a rubber band around it. She was agile from years of ballet but her parents insisted she take Karate, and learn to shoot a gun, too. Her parents were adamant that she learn skills to protect herself. And then one day, her parents mysteriously disappeared. Her life and how she viewed it would never be the same. She always sensed her life with them was temporary. She was just 12 years old when she’d overheard them talking one night… something about a portal, an alternate universe… To this day, she wondered why they didn’t take her with them. No one would ever believe her. It was her secret and it affected every aspect of her life. Is there something special in your past that has made you who you are today? 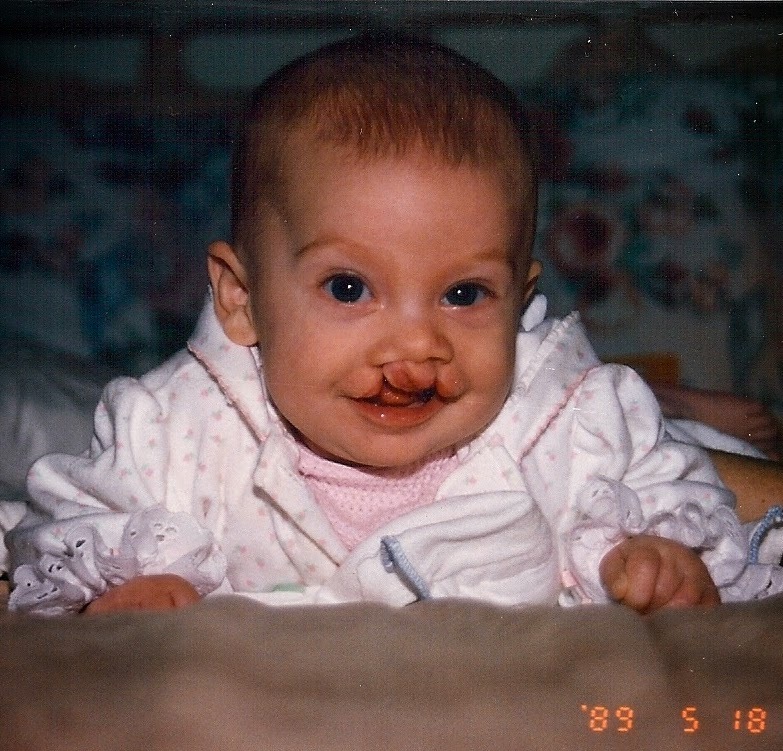 When Julianne came into the world, she was born with a severe cleft. I feared her early years in school before her surgeries were complete. Would she be teased? Would her little heart be broken? The only protection I could offer was to give her a fairy tale... a story of her own that portrayed her as the heroine of her own story... a fairy tale that could arm her with words and a vision for becoming greater than her physical story. 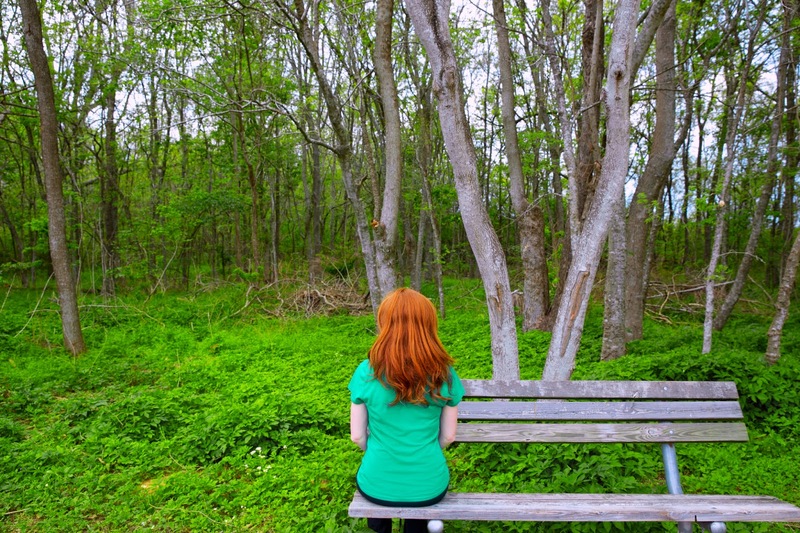 At 26, I see my daughter's story came true. Just look at her. There she stands with the man she is going to marry. Julianne claimed her beauty inside and out. She had the gift of an incredible surgeon and the courage to face surgery after surgery. She was hit with the loss of her brother and her father and yet, she continued on. Julianne is now doing what she loves and building a life of her dreams. She's a woman who claimed her power and rests comfortably in her ability to triumph over adversity. That's my little girl and I couldn't be more proud. Never was it more evident than when I decided to tell the story of the loss of my son. My book, "How to Survive the Worst that can Happen," gave me the gift of making Garrett's death mean something. Today, the book has helped so many families through the process of bereavement and it's won 5 awards. That book gave me the gift of giving Garrett's life meaning. It's his legacy, I was just in charge of bringing it to fruition. In the process of writing my books and my blog, I realized they had far greater meaning and purpose than I ever imagined. Through them, I was able to examine my life in a new way and heal my past. I learned that writing is one of the most effective tools of healing and leads to greater insight and understanding. It also helped me have an impact on the world because my words were helping people heal, grow, and soar into their greatness. Nothing feels better than that. Every woman has a story, and every story has meaning and purpose. It’s a living vision board and it shapes your legacy. Has something happened in your life that inspired you and changed the way you thought about yourself? Do you want to write about it? If you’ve ever had a burning desire to write your story, this is an opportunity to fulfill that dream. Check out my website... I'd love to help you get started! ... it Might be More than You Ever Thought Possible! How do you know if you’re ready to take the lead in the story of your life? You might be struggling right now, having been thrown into a set of life circumstances you didn’t expect at all. My “unexpected” story began the day I was born. I popped out with red hair. Did you know that a curly red headed, blue eyed little girl represents less than 1% of the population! That meant I was special… right? I thought so, until I entered 5th grade in a brand new school. During the first lunch period a boy came up to me with his lunch sack in hand. He wore a smile on his face. I'd caught him looking at me earlier that morning in class. As he approached, his beguiling smile suddenly turned ugly. He yelled, “I’d rather be dead than red!” He jumped at me and spit right in my face. I was so shocked. Tears burst from my eyes. I covered my face with my hands, horrified, as spit dripped down my cheeks. He laughed and took off running. Humiliated, I ran for refuge into the girls’ bathroom. I looked in the mirror and suddenly saw someone I didn’t recognize. I always thought I was pretty… until then. I aggressively scrubbed the spit of shame from my face with a rough brown paper towel. My cheeks were raw and red. I went to the nurse’s office and told her I wasn’t feeling well and waited with a knot in my stomach for my mom to pick me up. That bullying incident took me down for days. In fact, for about a week I ate lunch in the school bathroom, hiding from the bully. It was the first time I can remember that I began writing down my feelings in a journal. In my writing, I fought back. I said the things I wanted to say. Somewhere around the second week after the incident, a new “bold” me welled up from my words. Over the next year or two, I let my hair grow long and wavy. I was proud to have it… especially since we entered the Age of Aquarius… the hippie years when long hair was considered hip. I loved the Beatles and Paul was the one I was sure to marry. His girlfriend was a red-haired beauty named Jane Asher. I was certain I was next in line. I loved writing poetry and singing songs. In my journal I envisioned being on stage. I joined a small singing group in my home town, which lead to me heading to New York to join the national cast of the show. I was just 16 at the time... but I'd found my platform in song and dance. I traveled the world with a message about love, equality, and compassion. I knew what it was like to be bullied. I felt I was making a difference in the world. Dr. Viktor Frankel, a neurologist, psychiatrist, and Holocaust survivor writes in his book, "A Man's Search for Meaning:"
In some ways suffering ceases to be suffering at the moment it finds meaning. I didn't realize it then, but in looking back, I had transformed my suffering into meaning. My journal documented my travels, my life, but it was also my vision book. I dreamed it, I made it happen. I was certain I had full reign over my destiny. I never realized how much I counted on life going the way I planned. I left no room for the unexpected... and yet it happened one day when my son died unexpectedly. How could that have happened? I thought I had reign over my fairy tale life. Suddenly, I was a woman in a story I didn’t recognize. I hadn't written this chapter in my vision book of my future. No one wants to believe anything bad could happen, but sometimes it does. If it happens to you, you need to know you will survive and it will transform you. If you study the chapters of your life that were unexpected, you can see two sides of the story and often something remarkable can rise up out of the adversity... it's your incredible will to survive. If you look at the worst thing that’s ever happened to you, you’ll find it didn’t really break you. Did it? If you’re reading this blog, you're open and searching for new thoughts, ideas, and ways to live. You’re not broken… you’re changed. What ever happened to you gave you the gift of new awareness. Now, you'll never, ever take anything for granted. You'll know for sure, there's nothing more important than love. You realize the purest form of connection is being transparent and projecting who you really are to others. It leads you to all things... love, peace, success, and happiness. This all leads back to my original point. You have to fuel your happiness by making room for your dreams and the unexpected. You do that by building your portfolio of life and looking at it from a different perspective. One of the women I coach came to me after having lost her beautiful son in a car accident. At the time, Sally never saw a way out of her pain. The other day she heard about a friend whose child had died. It brought her own tragic loss back in the forefront and it felt like her heart broke all over again. She was afraid she would re-live the overwhelming, gut wrenching feelings of disbelief, denial, and confusion she felt when she first lost her son a year ago. I knew her fear. I feel the feelings every time I hear someone’s child has died, but I also knew how far Sally had come in her adjustment to life without her child. I reminded her it’s been almost a year since her son died and she’s still here, growing stronger every day. She replied, “Thank you, that does put it into perspective for me. I have survived 359 days to date. Amazing, when I didn’t think I could get through one more day and here I am.” You see, time doesn't heal loss, but learning to find new meaning for living does. In spite of her fear, Sally offered to help her friend in any way she could. Nothing transforms us more than reaching out and being of service in spite of our own sorrow. I’m so very proud of her and I know her son’s legacy drives her to help this friend whose loss is so new and raw. Sally made room in her heart for something important and critical for recovery-compassion for another mother in grief. Remember: In some ways suffering ceases to be suffering at the moment it finds meaning. Doing something for someone else raises our own level of joy, success, and happiness. I love helping you discover your hidden meaning and purpose in life. I love helping you re-write your story and claim happiness, love, and success for the future. This blog is one way I do that. I will also be sharing a way to open your book of life to new possibilities with the Discover Your Heart’s Desire Ebook Program. If you’d like to learn more about it, please sign up on my website to receive an email and I will notify you when it’s released! I'm so excited to be able to offer this to you and it comes with a free gift if you're among the first! Get ready to open the next chapter to a life you've always dreamed of! 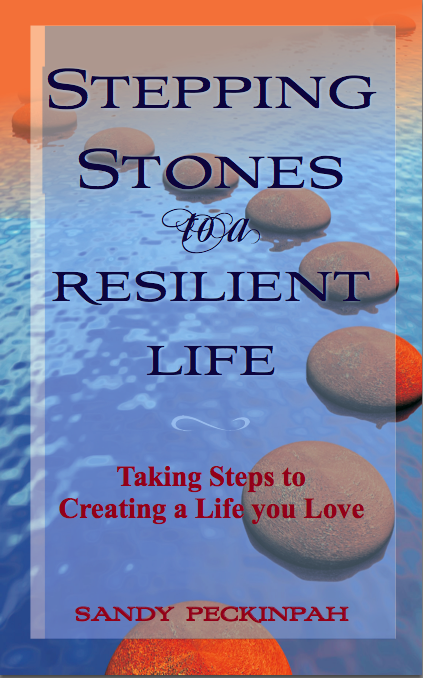 Sandy Peckinpah writes and speaks on finding happiness, surviving loss and activating resilience. 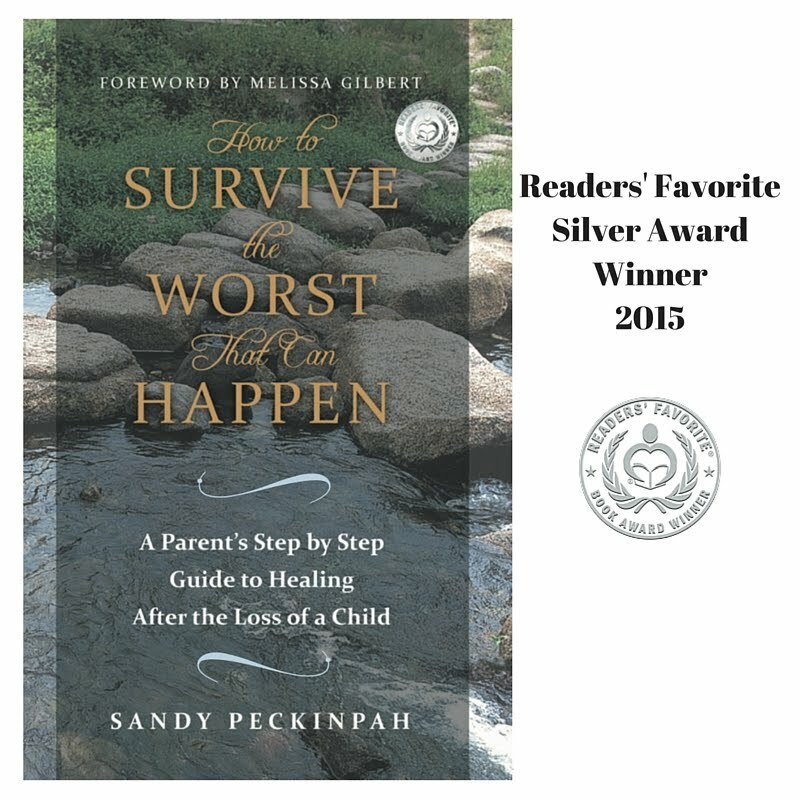 Her new award winning book entitled, "How to Survive the Worst that Can Happen" is a parent's step by step guide for healing after the loss of a child, based on her own experience of losing her 16 year old son. She coaches women on finding the next chapter of their lives and is also a Certified Grief Recovery Specialist® with the Grief Recovery Institute® in Los Angeles. For a printable PDF version of this blog post Click Here. Bonus Content: I believe so much in the power of the Emerging Woman that I’ve created a special 6-page worksheet for you to download and get started. You can download and print it now or wait until the end of the blog. I’m declaring this year, as the year of the Emerging Woman. It excites me as I begin to discover and define myself as “emerging.” I can hardly wait to wake up each morning to continue the process. I know it’s happening because it almost hurts to stay the same. By struggling to keep things the same, it restricts the possibilities of my tomorrow because I can only see the point of reference I have today. That must be exactly how a butterfly feels just before she breaks free of her cocoon… or the baby chick, before she cracks the shell to freedom. They have no idea what the new world is like-they just know it’s waiting and they must emerge, no matter what. That feeling happens to me every time I’m about to break out of an old pattern, an old life, and an old way of being. My thoughts become almost chaotic, and once the breakthrough happens, there’s a feeling of knowing this is what it was meant to, be all along. That’s how I felt just before I wrote my book, “How to Survive the Worst that can Happen.” I resisted it for a long time. I feared delving into my sorrow in the loss of my son, but a voice inside of me kept calling, “do it, and it will change your life forever. It’s your legacy to help others.” That voice was right. This one excites me most of all because it is relevant to my life: Recover (to emerge) from or survive a difficult or demanding situation. Mom packed the station wagon full of blankets and pillows, games, peanut butter on Wonder Bread, and fresh apples. The smell of apples still reminds me of road trips long ago. Mom and Dad loved to sing, so to endure the long hours in the car, they often belted show tunes from Music Man or High Society and we’d join in, knowing every word because they had played them so often on the HiFi. As we grew older and needed Mom less, she grew restless. I’d hear her listening to Earl Nightingale on the radio while Dad was at work. Earl was one of the early pioneers in the self-help industry. One of the phrases that memorialized him as a great thinker and inspirational mentor was: "We become what we think about." 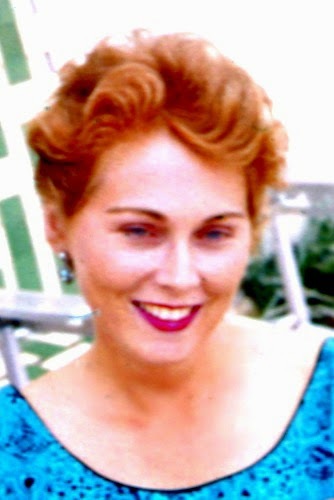 It was then I saw Mom begin to emerge as the woman she was called to become. One day, she opened a restaurant, knowing absolutely nothing about the restaurant business. She didn’t care because failure wasn’t an option. She learned everything she could and miraculously her restaurant, The Pie Factory, became hugely successful on the Monterey Peninsula. For Mom, it wasn’t so much about creating a place to eat as it was about creating a culture and environment where people wanted to gather. There would be lines out the door for customers to grab lunch, a piece of pie, and a chat. 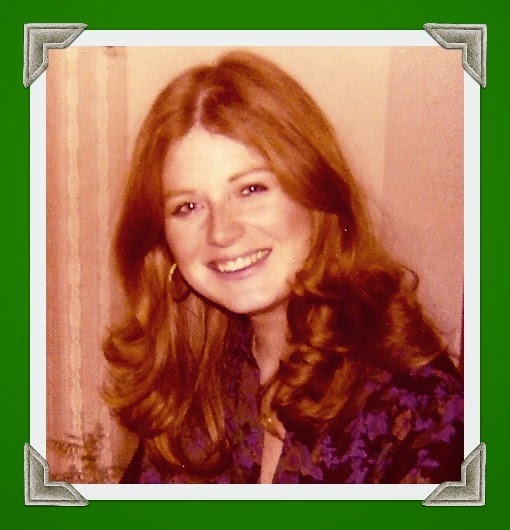 Mom knew most of the people by name, and they certainly knew hers. My brothers and sisters and I all worked there and it became part of our home life. I’m so proud of my mom for teaching me that life has cycles and if you feel a calling and believe you can do something, just do it! I watched her build that restaurant to its success never having had any experience other than feeding our family. I know right now, I’m in a stage of emergence. I feel it. I’ve committed to a program by Michael Hyatt called 5 Days to Your Best Year Ever. I know by holding myself accountable, I will indeed fulfill my goals. Michael stresses the importance of setting goals rather than resolutions. Goals need to be specific and have a due date, otherwise they’re not as effective. In the course, Michael shares a study done by Dr. Gayle Matthews, a Psychology Professor at Dominican University, which resulted in this revelation: the mere act of writing a goal down increases the likelihood of achieving the goal by 42%! 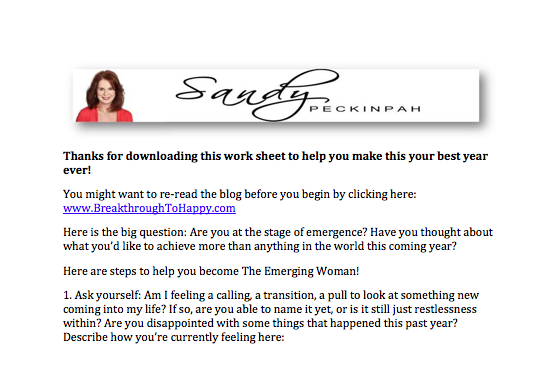 Downloadable 6 page worksheet for you to Emerge! Are you at the stage of emergence? Have you thought about what you’d like to achieve more than anything in the world this coming year? 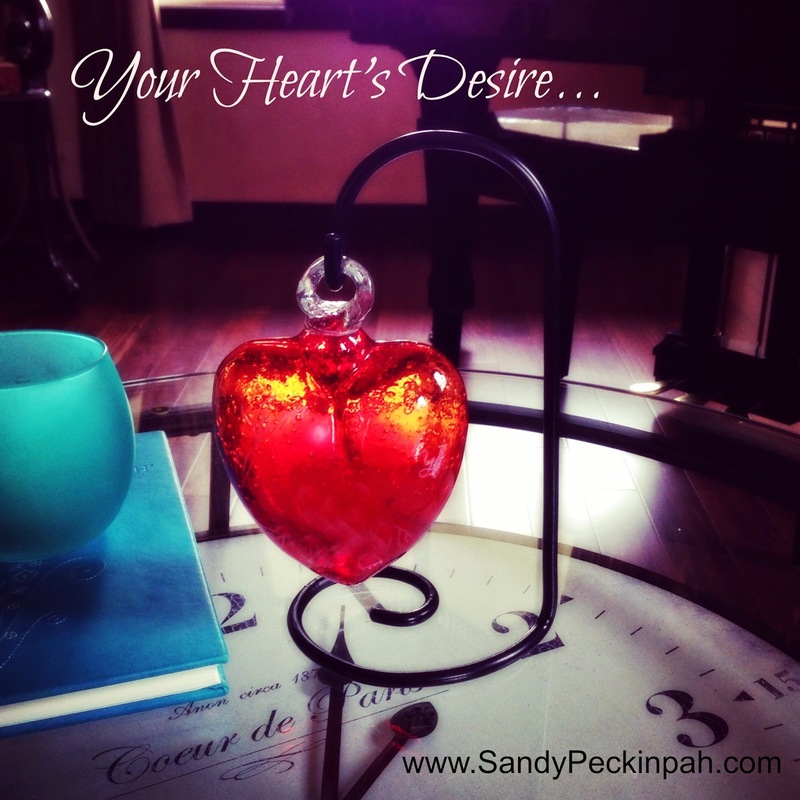 Ask yourself: Am I feeling a calling, a transition, a pull to look at something new coming into my life? If so, are you able to name it yet, or is it still just a restlessness within. Identify what’s at stake. Could it be a possible change in a job, a relationship, or education? Can you continue with your life as it is and incorporate this calling, or are there things you need to implement or say goodbye to, in order to begin the transformation? Write down 5 to 7 specific goals for this coming year. Goals are specific reachable steps for shaping your life. Write down why you want to achieve these goals and then give them a due date. For example, instead of saying I want to lose weight this year, write down, “I want to release 10 pounds. I want to achieve this goal because I know I feel more confident and energetic when I’m at my optimum weight.” Due date: April 1. Here’s the fun part… Take a few minutes and visualize your life as it will be after you’ve become a woman who’s emerged. Close your eyes and visualize how your morning starts, what your day will be like, and how your evening ends. Imagine everything. Write all of this down as though you’re telling the elaborate story of your day to someone you love. Read it periodically out loud over the next few weeks. Because you’ve taken these steps, it’s very possible you’ll make this dream come true! My mom did, and I’m so proud of her and grateful she demonstrated that even though life continues to hand you challenges, the willingness to transform opens up new possibilities. 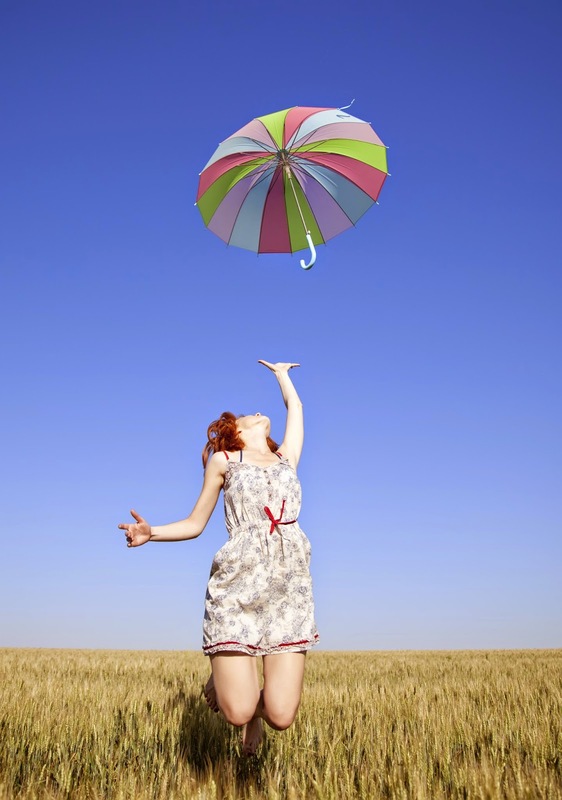 Living life fully means creating opportunities as your heart calls you to emerge. By making changes and adjustments you’re making room for the transformation. It also can mean saying goodbye and finding completion in situations that don’t work for you anymore. Don’t be afraid, that fear you’re feeling is your heart’s call to your personal greatness. The secret is in the thinking, and maybe Earl Nightingale was right: "We become what we think about." It certainly worked for my mom, and I’m so proud she had the courage to believe she could, with all her heart. Bonus Content: I believe so much in the power of the Emerging Woman that I’ve created a special 6-page worksheet for you to download and get started. You can download and print it now . 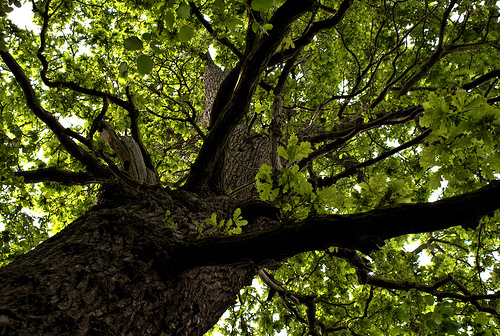 Sandy Peckinpah writes and speaks on finding happiness, surviving loss and activating resilience. 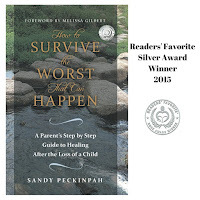 Her new award winning book entitled, "How to Survive the Worst that Can Happen" is a parent's step by step guide for healing after the loss of a child, based on her own experience of losing her 16 year old son. 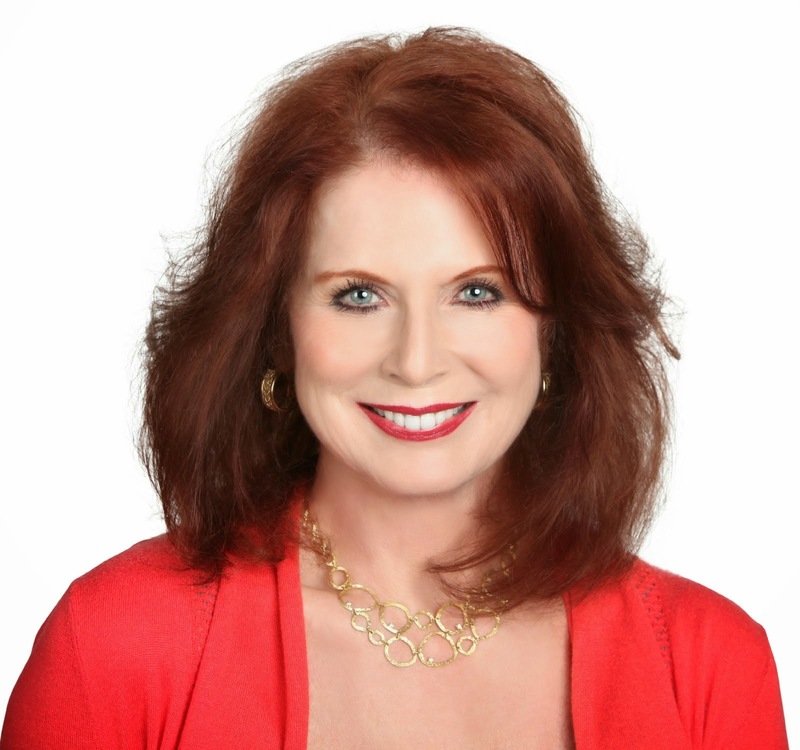 She is a Certified Grief Recovery Specialist® with the Grief Recovery Institute® in Los Angeles. I realized recently, the last several years of my life have been about discovery and emergence. The cocoon holding my existence began to break open in January of 2010 when I decided I never wanted to look at the year ahead, as mirroring the year I’d left behind. I began to look at life with goal setting in mind rather than resolutions that often never come to fruition. That specific change in approach was the catalyst for my life today and I’m so grateful. I did a vision board that year, and wouldn’t you know it… I actually achieved a lot of what I’d hoped for! In the years that followed I recognized the importance yearly goal setting and putting time expectations on those goals. There’s something so powerful about being the age I am because it’s just like playing football or hockey. The game doesn’t go on forever, so it creates a sense of urgency. It’s incredibly motivating. I also learned that goals can shift and change as we approach the finish line… and that’s okay. Last year, while I was awaiting my book’s release, I remember believing the only audience for my book would be those who’ve had a child die. I was so wrong. Suddenly, a larger audience, one I never envisioned, began buying my book: therapists, clinics, friends and family of those who have lost children. What I didn’t expect was the outpouring of people who feel helpless when it comes to loss, and my book was their way of contributing. This has taught me not to restrict my thinking or my expectations. I need to start leaving room for my goals to grow bigger than I’m capable of dreaming. I don't have to know everything in order to move forward with my plan. I can build some of it as I go. I'm not Wonder Woman. I don't have to do everything. I can do what I love, and hire out the rest. Being on the computer doesn't mean I'm working. I need to set clearly defined times for posting on social networks, emails, etc. Sometimes when things don't happen the way I want, it's actually the better plan. I’m now aware that goals might shift, change, and possibly grow bigger as they come to fruition. Consistency makes me better at what I do. I need to honor myself for what I HAVE done. Sometimes I don't give myself enough credit. Today is all we really have. Make it count. So... have you set your goals? I hope so! Don't know where to start? Receive your free worksheet by clicking here and hang it where you can look at it every day. You’ll be surprised at what you accomplish! I can promise, if you set these goals in writing you are more likely to achieve them according to studies done at the Dominican University of California. I did this exercise in 2012 and set the goal to write my book, How To Survive the Worst that can Happen in a year. It was published almost a year to the day I began! Today, I’m so proud it has achieved 5 awards and reaching the people it was meant to help. 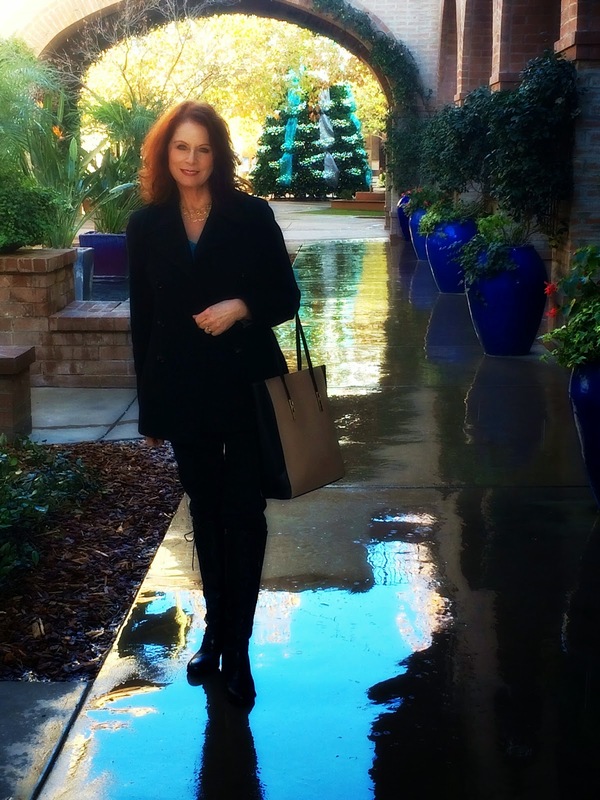 I was recently inspired by Michael Hyatt and his program 5 Days to the Best Year Ever. His program keeps me on course. One thing he taught me- Goals have to evoke real passion or you won’t do them. Give your goals some excitement and challenge. That’s why I recommend only setting 5 goals. That is doable! And that’s exactly what I intend to do. I hope you’ll join me. All rights reserved Sandy Peckinpah 2014. Simple theme. Powered by Blogger.